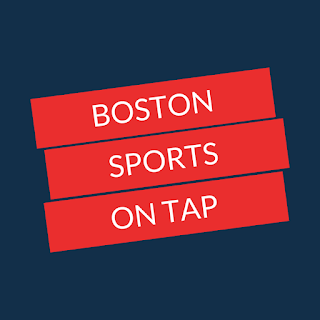 In this week’s BSoT Red Sox Column to be Named Later, I take a look at the third member of the Red Sox Big 3, and analyze the recent struggles of their closer. And, as always, I see who is trending up, who’s trending down, and look at the week ahead and then some for the Boston Red Sox. It’s a generally accepted principle in the NBA that a team needs three superstar players to win a championship. Bird-McHale-Parrish. Pierce-Garnett-Allen. Lebron-Wade-Bosh. Jordan-Pippen-Rodman. In many of these cases, the third member of the Big 3 is the type of player that is very good, but when paired with two other superstars, forms a truly formidable trio. While a baseball team needs many more good players to win a championship, this season the Red Sox offense has the pre-requisite pair of superstars in J.D. Martinez and Mookie Betts. However, there is another Red Sox player this season who has quietly elevated himself to one of the elite hitters in baseball. Andrew Benintendi has had a strong bounce back season in his sophomore campaign and has been no break for pitchers slotted in the lineup between Betts and Martinez. Benintendi’s performance has flown under the radar when compared to the gargantuan seasons being had by Martinez and Betts. But Benintendi has quietly put up an outstanding season in his own right, despite the lack of publicity. Granted, Benintendi has not had the signature moment to define his season the way Martinez and Betts have done on multiple occasions (for example, Betts 13-pitch grand slam against the Blue Jays). Benintendi did have a 10th inning walk-off hit against the Yankees to complete the recent four game sweep, but that was a seeing eye dribbler up the middle that happened after most of us had gone to bed. Benintendi has not had the power numbers to compare with Martinez and Betts, and thus he has been overshadowed by his two All-Star teammates. Despite a cold start to the season, Benintendi is currently 10th in the American League in average, fourth in runs scored, eighth in hits and stolen bases, and 13th in RBIs. 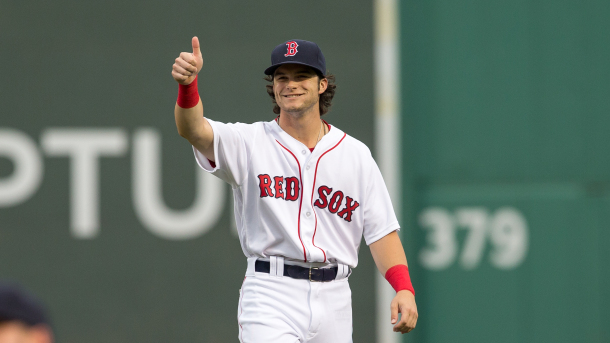 Since May 1st, Benintendi has batted .318, with 14 home runs, 55 RBI, 15 stolen bases, and 67 runs scored. Benintendi heated up even more with the weather, batting at a .341 clip since the first of July. Benintendi has also contributed on the defensive end. Again, he does not have the highlight catch this season to grab the eye as Jackie Bradley or Betts has done. But Benintendi has played a great left field this season and has quickly become adept at playing the caroms off the left field wall at Fenway. As a left fielder he is well above average defensively, which becomes even more apparent on those occasions where Martinez grabs a glove to play the field. Betts is currently ranked as the number one player in the MLB in WAR (Wins Above Replacement), with Martinez placing fourth. Benintendi sits fourteenth on the list at a 4.4 WAR. This makes the Red Sox the only team in the MLB with three players in the top 15. Finally, let’s not forget that Benintendi virtually carried the team for two weeks earlier this season when Betts was out with a lat strain. With Betts on the DL, Benintendi slid seamlessly into the lead-off role and provided the same instant offensive pressure which Betts creates. As he gets older (he just turned 24) Benintendi’s power numbers should increase, and it is easy to envision him sliding into the number three spot in the order for the foreseeable future. The Red Sox bullpen has been the primary point of concern for Sox fans since Joe Kelly’s Opening Day debacle. Uneven performances and lack of consistency since then, combined with an inability of any of the relievers to lay claim to the eighth inning role, have only fanned the flames of discord among the faithful. The lone bright spot has been the presence of Craig Kimbrel as a lock down closer at the end of ballgames. Now even that has come into question. Kimbrel has always been somewhat of an enigma in non-save situations, but lights-out with the game on the line. This season has been anything but smooth sailing. Kimbrel already has four blown saves to his credit, equaling his total from all of last year. He also has given up 7 home runs, also up from the six he allowed last season. 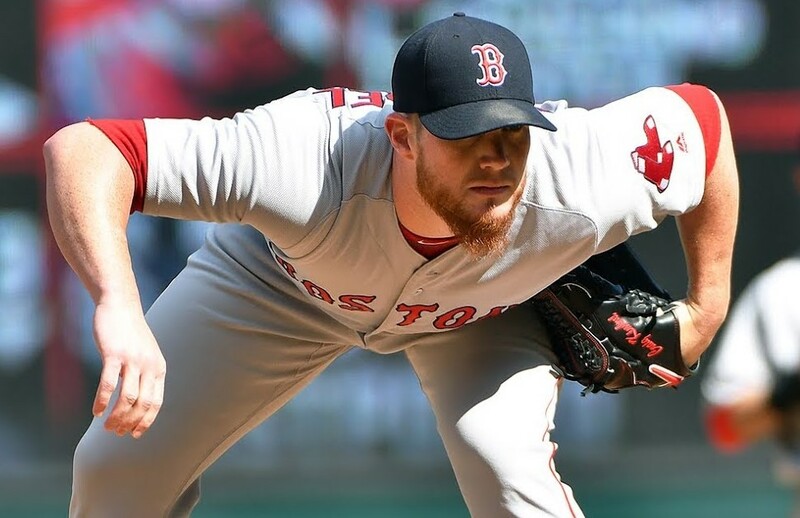 Since the All-Star Break, Kimbrel has a 6.48 ERA in eight appearances, two blown saves (both on home runs allowed) and has posted a 1.80 WHIP. By contrast, Kimbrel’s WHIP during his dominant 2017 season was a stingy 0.68. Velocity has not been the issue for Kimbrel this season. He is still consistently hitting high 90’s with his fastball. Command of his pitches has been the problem. Kimbrel has been wild with his fastball and batters are laying off the curve and not chasing it out of the strike zone. When he gets down in the count, Kimbrel has missed the location of his get ahead fastball and left it out over the plate, with batters looking for it and teeing off. Kimbrel has not been sharp all season. He missed most of spring training due to an illness to his newborn daughter, who thankfully is now doing well. But Kimbrel has yet to regain the form he displayed last season. One other issue that may be working against Kimbrel is his lack of work. With all the decisive wins the Sox have had this season, his save opportunities have sometimes been few and far between. Kimbrel’s numbers drop off dramatically when he has more than three days of rest, which has happened on numerous occasions this year. While blowout wins are always nice, Alex Cora needs to get Kimbrel more involved, as Dennis Eckersley says, “just to stay in shape”. J.D. Martinez took it to an even higher level over the past week. In seven games he batted .464 with five doubles, four homers, 11 RBIs and a lofty 1.603 OPS. It’s no wonder he grabbed AL Player of the Week honors. Mookie Betts also had his best week since the All-Star Break, and if not for Martinez’s incredible performance, he may have grabbed Player of the Week honors. Betts logged a .448 average and 1.418 OPS for the week. Jackie Bradley Jr. had arguably his best week of the season, batting .296 with three home runs and six RBI. On the pitching side, Ryan Brasier continued to impress and pitch in increasingly higher leverage situations. Brasier allowed only one hit and no earned runs with no walks in 3 1/3 innings. Rick Porcello and Nathan Eovaldi – After pitching a one-hit complete game (Porcello) and eight innings of shutout ball (Eovaldi) against the Yankees last weekend, each one failed to make it past the fourth inning in their subsequent starts against Toronto (Porcello) and Baltimore (Eovaldi). Porcello took the loss against the Jays (the Red Sox only loss in the past ten games going into the series with the Phillies). Eovaldi was bailed out from getting a loss when the Sox put up 19 runs against Baltimore Friday night, though Eovaldi and the beleaguered bullpen combined to allow 12 runs to the Orioles. Mitch Moreland (.174 for the week) and Sandy Leon (.111). Aside from Brasier, everyone else in the bullpen struggled this past week. Heath Hembree was the worst of the lot, allowing two home runs and posting 11.57 ERA. The Red Sox have an unusual schedule this coming week. After an off day on Monday, they will take on the Phillies for a pair of games in Philadelphia with another off day Thursday before returning home for a three game set with Tampa Bay. Two off days in a week will be welcome to a Red Sox bullpen that has been overtaxed over the past week. The Red Sox are fortunate to miss Phillies ace Aaron Nola, who pitched eight innings of one run ball against the Sox last week. Looming on the horizon for the Red Sox after the weekend series with the Rays will be the first meeting of the season with old friend Terry Francona and the Central Division Leading Cleveland Indians. Cleveland holds a 12 ½ game lead over the second place Twins, and have been surging of late, going 8-2 in their last 10 games. If the Red Sox pitching rotation holds to form, Chris Sale would draw the start in the finale of the Tampa Bay series, missing the Cleveland series entirely. With the off days built into the schedule this week, it will be interesting to see if Cora adjusts the rotation to give Sale some extra rest and have him ready to pitch against the Indians, who have hit him well in the past. Follow Bill on Twitter @BTravers_BSoT.